CaptureExec software was developed to help Government contractors manage their entire sales, capture and proposal business and improve their PWin on each and every deal. Our CaptureExec Reseller program delivers the tools, resources, and benefits that will help your contacts build, run, and grow into a profitable business. Get more information today on how you can become a reseller by filling out the form on the right. 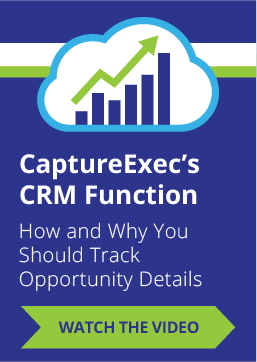 If you know companies that can benefit from CaptureExec, but you don’t want the responsibilities that come with being a reseller, you can still refer a prospect (as many as you’d like) to receive a finder’s fee when they purchase the software. Refer your contacts here.